Caneberry trial at the Piedmont Research Station, Salisbury, NC. The documents below contain charts and data that reflect the yields of primocane- and floricane-fruiting blackberries and raspberries from trials at research stations across the state. Data include yields, marketable yields and berry weight for multiple varieties. Prepared by Dr. Gina Fernandez, Absalom Shank and Rocco Schiavone. This document has yield data for black raspberry, primocane-fruiting raspberry, floricane-fruiting raspberry, and floricane-fruiting blackberry yield and harvest dates. Black raspberry data was collected outside of tunnels, all others were inside tunnels. This document contains extensive yield data and harvest dates for 6 floricane-fruiting blackberry cultivars, 8 floricane-fruiting raspberry genotypes (including NC430 aka ‘Von’)and 10 primocane fruiting raspberry both in tunnels compared to out of tunnel production. This document contains extensive yield data and harvest dates for floricane-fruiting blackberry cultivars, floricane-fruiting raspberry genotypes, primocane fruiting raspberry and primocane-fruiting blackberries both in tunnels compared to out of tunnel production. 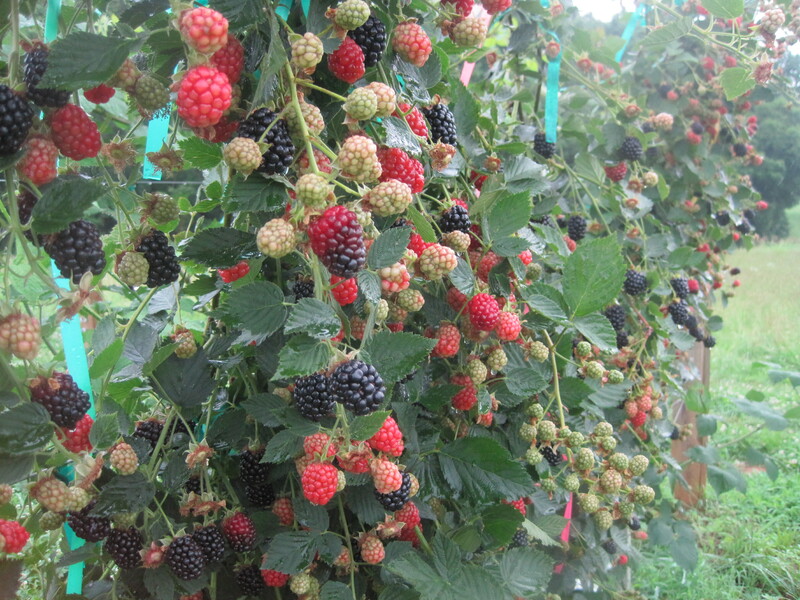 This document contains extensive yield data and harvest dates for floricane-fruiting blackberry and floricane-fruiting raspberry genotypes, both in and outside of tunnels. This includes Von and numbered selections from the Univ Arkansas. 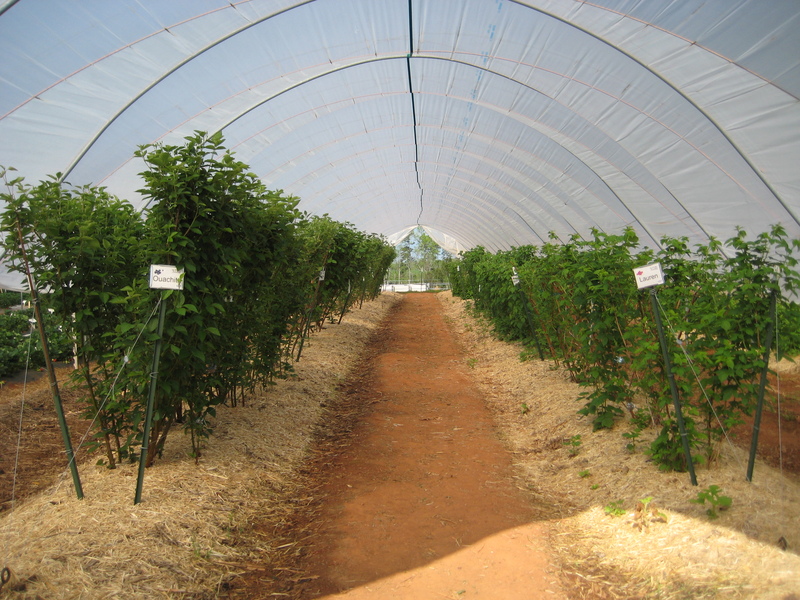 This presentation shares information about how different varieties of blackberries and raspberries perform when grown in high tunnels. Originally presented by Dr. Gina Fernandez, N.C. State small fruit specialist, at the 25th Annual Southeast Vegetable & Fruit Expo in December 2010. This document contains charts and data that reflect the yields of floricane fruiting blackberries and raspberries from N.C. State research trials at the Piedmont Research Station and Oxford Tobacco Research Station. Data include yield, marketable yields and berry weight for multiple varieties. Prepared by Dr. Gina Fernandez and Absalom Shank. Piedmont Research Station in Salisbury, N.C.
Upper Mountain Research Station, Laurel Springs, NC.